Thanks to a timely Milaap loan, 19-year-old Manaswini Das has just begun her final year of her Bachelor of Arts course at Rajdhani College in Bhubaneswar, Odisha; she no longer has to worry about dropping out of college. Her parents, both tailors, have worked very hard to provide their daughter an education, on an income of Rs.6000 ($100) a month that barely covers living expenses. This year, they couldn't afford Manaswini’s final year fees, and the local moneylender was charging a high interest rate. Hearing of Milaap’s facility, her mother Subashini sought and received a loan of Rs. 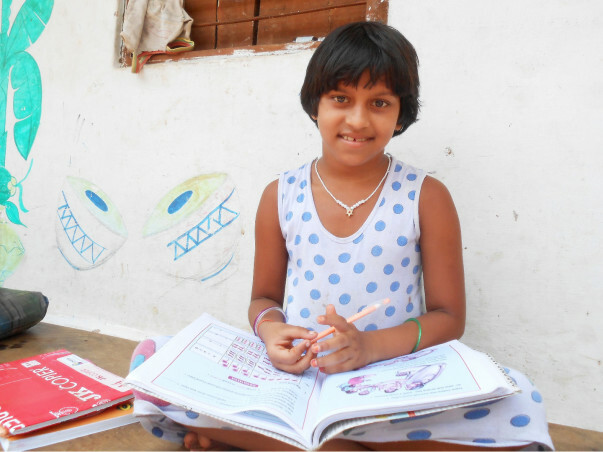 20,000 ($335) for Manaswini’s fees, and the diligent girl is now continuing her studies. There are many low-income families like Manaswini’s, in Odisha, who need financial help to pay their children’s school fees. Milaap’s partnership with the Mahashakti Foundation in Odisha provides these children (as young as 6 years) and youth affordable education loans to continue their studies. Your loans help their parents pay the children’s school and college fees, and the parents repay the loan in monthly installments. In case of youth pursuing vocational training courses, often it’s the students themselves who repay their loans, because the training helps them secure a job and start supporting their families.